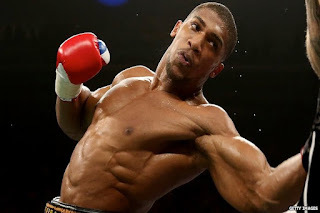 England-born Nigerian world heavyweight boxing champion, Anthony Joshua, could have his yet to be confirmed rematch with Wladimir Klitschko in Nigeria. This was revealed by Joshua's promoter Eddie Hearn. Joshua, who currently holds the International Boxing Federation (IBF) World Boxing Association (WBA) and International Boxing Organisation (IBO) titles is set to face Klitschko for a second time after his thrilling victory at Wembley Stadium in April, with a number of venues being considered to stage the heavyweight world title rematch.